Diesel is not dead for a sizeable number of motorists, judging by a recent survey. It found that two-in-five people thinking of buying a new car this year intend to get a diesel-powered vehicle. * One-in-10 are planning on buying a hybrid or plug-in hybrid. Fewer than 10pc are thinking about an electric vehicle at this stage. That is still a reasonable figure, however, considering how low a base from which EVs are starting. Early SIMI figures suggest there has been a serious increase in EV buying. Of the 1,000 people surveyed, six in ten are thinking about purchasing a new car within the next six months. * Mercedes’ commercial van range will benefit from the technology of the brand’s EQ full-electric vehicles. They are planning on expanding battery power to the commercial van segment – specifically the V-Class. The company will debut the Concept EQV at the Geneva Motor Show on March 5. They say the concept will give a “first concrete look at the electric future of the multi-purpose vehicle”. * Renault have updated their Scenic (5-seater and 7-seater) with new trim levels and engines. The new 1.3 TCe 140 petrol (6spd manual and 7spd auto) starts from €27,790. And the new 1.7 dCi 120 diesel (6spd manual, 7spd auto) kicks off from €30,710. 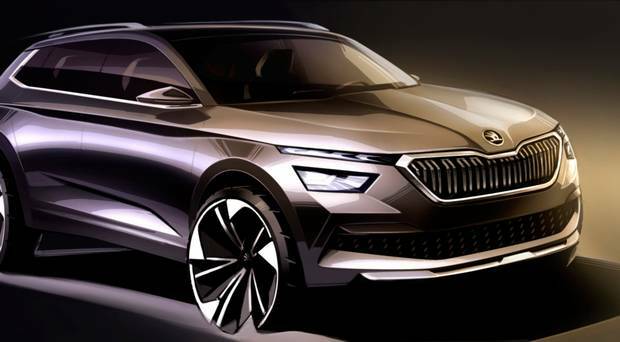 * A more accurate reflection of what Skoda’s new KAMIQ small urban SUV will look like is pictured here today (above). It is the first ŠKODA to have dynamic indicators front and rear. 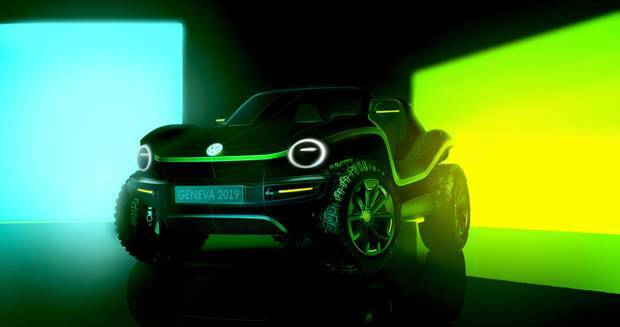 * Volkswagen will reveal the first fully electric version of a new buggy early next month. And it might, just might make it to Irish showrooms though I would not bet on it just yet. The concept (below) takes its cues from the US dune buggies and is based on the automaker’s modular electric drive matrix (MEB). * Renault here have announced that former Dublin footballer Jason Sherlock has become a brand ambassador.